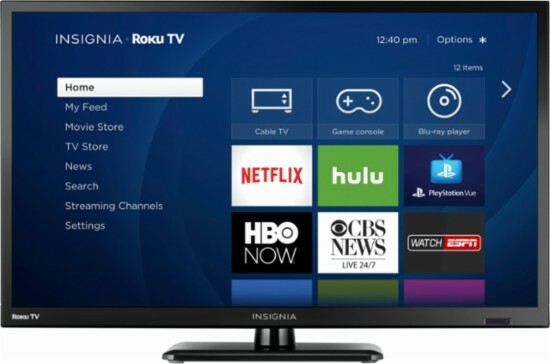 Today only (7/1) head over to BestBuy.com where you can score this Insignia™ - 24" Class - LED - 720p - Smart - HDTV Roku TV for just $99.99 (regularly $149.99) shipped FREE! This TV is highly rated and comes with a free month of Sling TV Live Streaming Service. If looking for a slightly bigger TV, consider this Insignia™ - 32" Class - LED - 720p - Smart - Roku TV for just $129.99 (regularly $179.99).